A disqualified driver from Hartlepool has admitted causing serious injuries to a 10-year-old girl in a hit-and-run collision. Hartlepool woman Joanne Catherine Elizabeth Beven, 41, admitted a string of motoring offences after the youngster was rushed to hospital when she was hit by a car in Redcar Road, Sunderland. Police launched an appeal after Bobbi Joy Tighe, from Sunderland, was hit by a car at around 4pm on November 6, last year, for help to locate the driver who made off from the scene shortly after the collision. The primary school pupil was taken to Sunderland Royal Hospital with injuries that included a broken hip bone and a fractured pelvis and was wheelchair bound while her injuries healed. Her mum Samantha Tighe, 28, a support worker added: “I am glad she pleaded guilty, she can’t get away from it. “We have been very lucky. The hospital staff were amazing. I would argue that this young girl’s family are suffering about this and want this to be conclude. Bobbie even wrote a letter to the court expressing how she felt following the incident and informing them that she now suffered from anxiety and post traumatic stress disorder as a result. Beven pleaded guilty to a charge of causing serious injury by driving while disqualified when she appeared before South Shields Magistrates Court. Beven, of Helmesley Street, Hartlepool, also admitted driving while disqualified; using a motor vehicle without insurance or MOT certificate; failing to stop after and failing to report an accident. She was also charged with using a motor vehicle trailer in a condition likely to cause danger of injury, but the court heard the police officer responsible for producing a report into the condition of Beven’s Renault Clio was on long-term sick. 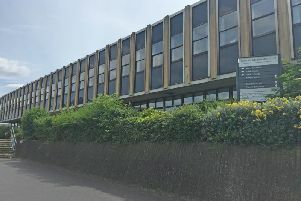 Opposing a prosecution application for an adjournment to ensure the correct charge was put, Beven’s solicitor Jason Smith urged magistrates to proceed. “I would argue that this young girl’s family are suffering about this and want this to be concluded,” he said. “Miss Beven is suffering and wants this concluded. When magistrates agreed to press ahead with the case, Mr Smith told the court Beven would enter pleas to all charges except the one relating to the condition of the car: “These will be guilty pleas,” he said. Beven did not enter any plea to the seventh charge: “My client cannot plead guilty to an offence where there is no evidence,” said Mr Smith. Even without the seventh charge, the court would ‘inevitably’ be looking at reports in the custody band, he said. Magistrates agreed to adjourn the seventh charge to January 31 for trial and Beven was released on unconditional bail.